As winter sets in, we embrace the darkness, celebrating the change in season with this double black IPA releasing it as Daylight Savings falls back to MST. We handpick hops here in Colorado on the western slope. The robust hops and roasted malt character balance perfectly with just a bit of bitterness. Go ahead, Give in to the dark side. This ales is very rich in flavor and fragrance. This beer screams rich mint, chocolate, caramel, some mocha, grassy and earthy hops, herbs, basil, spices, lemon citrus, and slight smoke. The flavors are of earthy grassy hops, herbs, spices, sweet and dark chocolate, mocha, caramel, mint, anise, molasses, some basil, sweet garlic, lemon, citrus, coffee cake and some slight nutty notes. 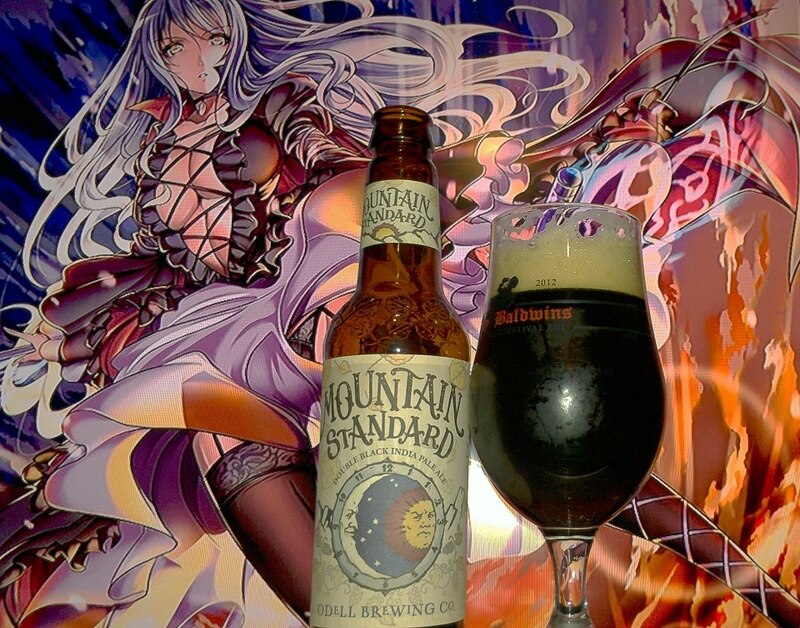 This beer reminds me of Self-Righteous but with more chocolate flavor than the herbs and spices. While still bitter, it is somewhat smooth and drinkable hiding that 9.5%ABV which can be sensed later.